I am on the go so much with the girls these days and naturally, someone wants a snack. Whether it is at the pool, at a park or in the car, I like to provide my kids with healthy snacks. I love Funky Monkey Snacks. These are freeze-dried organic fruit snacks that are packaged individually. Nothing is added but the fruit and in a couple flavors, cinnamon. No extra sugars, no preservatives, no dyes. Just pure fruit. They come in a variety of flavors, including Bananamon (bananas and cinnamon), Pink Pineapple (pineapple and guava), Applemon (apples and cinnamon) and Carnaval Mix (a mixture). 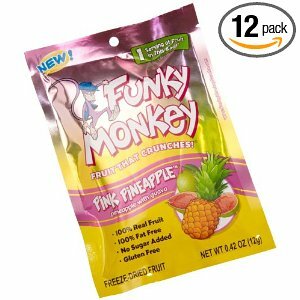 Funky Monkey snacks are delicious! I love them! They are sweet and crunchy. Even my picky daughter loved them! Her favorite was the Pink Pineapple (as was mine). They ask me for these snacks all the time. I love that they are healthy, too. Each ounce bag contains 3 servings of fruit. I also liked that they are packed individually and are perfect for on-the-go and for school lunches. It is also nice that they are sold in stores such as Target, Albertsons, Whole Foods and Ralphs. Of course, if you can't find them in stores in your area, you can always order them from Amazon. These are a huge hit in our house and I am sure they will be in yours, too! Want to try them for free? Then enter the easy rafflecopter giveaway below. Disclosure: I received samples of Funky Monkey to facilitate this review. I was not compensated for this post and this review contains my own opinions. I entered Set of Three Puzzle Books. I'd like the pink pineapple. I would love to try this flavor-Bananamon! I have never heard of these. Even if I do not win this giveaway, I am going to look for them and try them. 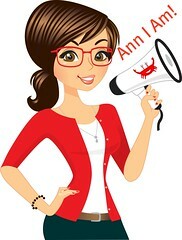 I entered the #Giveaway: Dry Idea Advanced Dry Deodorant on 6/29/2012. I would love to win this for my toddler! I would like to try Pink Pineapple. I entered the puzzle books giveaway. I think I would like the pink pineapple. I entered the baron's giveaway. I've entered the coupon book giveaway! I entered the Ipod touch giveaway. Can't say how useful it is with a toddler at home! I think mixed is the best..